Sushil is a 65-year-old retired professor living in Gurgaon with his wife, Keerti, a 59 year old homemaker. Their two children Rahul and Sonia are well settled in USA. Earlier the family would reunite 2-3 times a year; either the parents would go to the US or their children would visit. But now as the couple is getting older and the children are getting busy with their lives, they are finding it difficult to meet each other. Keerti, a diabetic for the last 7 years, had a heart attack few months ago, and has been asked not to travel. Their children lead a busy life, juggling between job, bills, mortgages and kids. They have not been able to travel to India as much as they would have liked to and support their parents during these trying times. Hence, they actively start looking for some way to assist their parents locally. Sonia who hasseen one senior living project inthe US and was impressed with the kind of lifestyle seniors were enjoying. So, she discussed with Rahul and they both decided that their ma & pa should spend their retirement days in such a worry-freeenvironment. 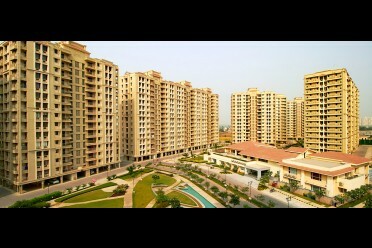 While searching on the net, she came around one of the properties in Bhiwadi which is very close to Delhi-NCR. At first, Sushil and Keerti are extremely hesitant and dismiss the idea saying, “We have relatives around us; our trusted domestic help is around; we will manage.” But she requested them to visit the property once. When they visited the project, they were amazed to see resort-like open and green environment ,deatiling done to suit the needs of seniors and the activity area where seniors were hanging out specially in the dining area which reminded of their college days. They also spoke with other couples living there and realisedhow actively and securely they are enjoying their golden years. Sushil and Keerti then decided to go beyond the traditional idea of depending on their domestic help and relatives as they grow old,and enjoy their senior innings in their new home. I am a sr citizen and would like to know about the terms etc and than visit your facility along with my wife. Thank you for showing interest in Ashiana Senior Living, anybody with the age 55 years and above can stay parmanently in the project. No other specific terms and conditions are there you can buy a flat just like any other property purchase. We have trial apts facility available so you can stay and experience the lifestyle before buy and take a satisfactory decision. Thank you for showing interest in Ashiana Senior Living in Bhiwadi. We have 1/2/3 BHK apartments available in the price of Rs. 34 lacs to Rs. 67 lacs. Currently more than 40 families are residing in phase-1. For further details our executive will contact you shortly. Thank you for enquiring , at Ashiana Nirmay Senior Living the price range is Rs.34 lacs - Rs. 67 lacs. We have 1/2/3 BHK aparments with Activity center and dining hall services.Currently more than 40 families are residing in Phase-1. Thank you for showing interest in Ashiana Senior living, we have projects in 4 different location Bhiwadi(Delhi NCR), Chennai, Lavasa(near Pune ) and Jaipur. Please share your preferred location so that we can assist you further. Thank you for enquiring, we have Senior Living projects in 4 different locations- Bhiwadi(near Gurgaon), Chennai,Lavasa(near Pune) and in Jaipur. Please mention in which location you are interested so that we can help you with further details. what are the term & conditions for this ?